CIFE Prizes are awarded for exceptional achievement, and are fiercely contested. we’re therefore delighted that four MPW Birmingham students received Prizes in 2015. 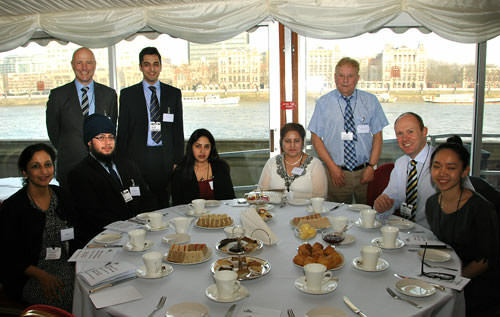 Prizes were presented at a ceremony in the House of Lords, where the picture at the foot of this article was taken. Kevin Cui received the CIFE award for Economics. He joined MPW Birmingham from China in September 2012 to study a two year A level programme in Economics, Mathematics, Further Mathematics and Physics. Kevin achieved four A* grades in each of these subjects and demonstrated extremely high standards of intellectual endeavour. Kevin holds a real passion for current affairs and was able to discuss with impressive fluidity the most pressing current political and economic issues. Not surprisingly, with such academic interests, Kevin performed exceptionally well in his Economics A level, scoring an impressive 386 out of 400 and achieving 100% in two of his examinations. Kevin is now reading Economics at Hong Kong University. Linh Khanh Tran gained a CIFE award for Social Sciences. She joined MPW Birmingham from Vietnam in September 2012, completing a two year A level programme in History, Economics, Mathematics and Government and Politics, and achieving the grades of three A* and one A respectively. As well as applying herself with considerable conviction to her studies, Linh was always willing to get involved in college events and her support throughout her two year stay speaks volumes about her pleasant and considerate nature. Linh’s academic skills reveal considerable breadth as she achieved A* grades in diverse subjects such as Mathematics and History. Linh is now reading Economics at UCL. Inderpal Bassan received a CIFE Value Added award for the terrific improvement he made during his studies with us. He joined MPW Birmingham in September 2012 to complete a two year A level programme in Biology, Chemistry and Mathematics, obtaining the grades of A*BB respectively. Prior to attending MPW, Inderpal obtained four U grades in his AS studies. The distance travelled by Inderpal in his academic journey during his time at MPW has been an inspiration to many students because he has demonstrated just what can be achieved through determination and a positive work ethos. Inderpal is now reading Biochemistry at the University of Birmingham. And finally, David Scott received a CIFE College award for his contribution to life at MPW Birmingham. He joined us in September 2013 after having previously completed the IB. David completed a one year A level programme in Mathematics, Further Mathematics and Physics, achieving the grades A*AA respectively. David relished the opportunity that A levels provide to specialise in subjects he was passionate about. His enthusiasm and positive approach had a wonderful impact upon the college and we have every confidence that David will continue to excel during his stay at the University of Sheffield where he is now reading Mechanical Engineering with French. Pictured below are Inderpal (seated second left), David Scott (standing second left) Linh (seated right) and MPW Birmingham Principal, Mark Shingleton (second right).